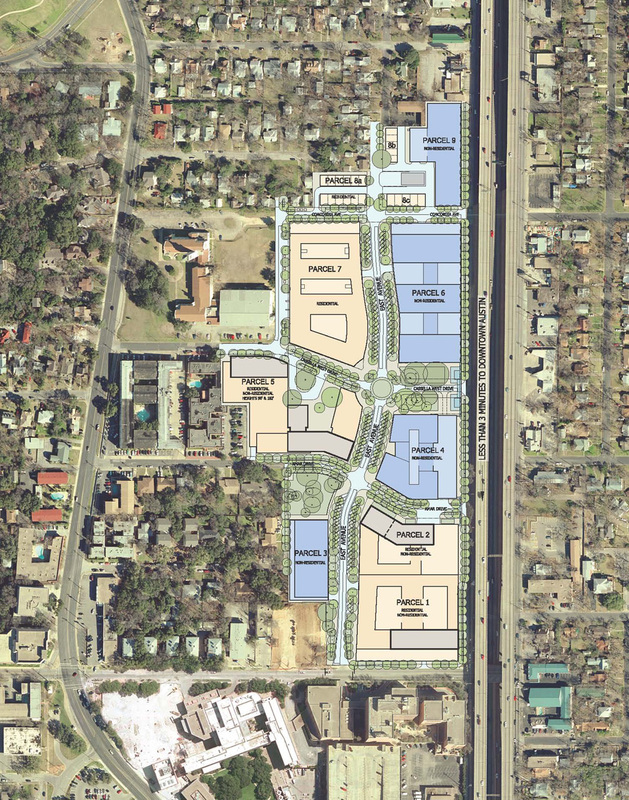 Master planning East Avenue, a 23-acre, mixed-use development, involved more than 80 meetings with stakeholders over the course of a year. 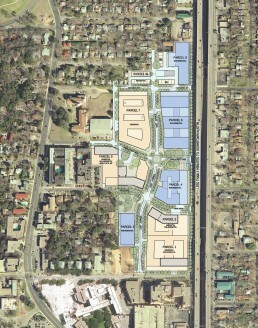 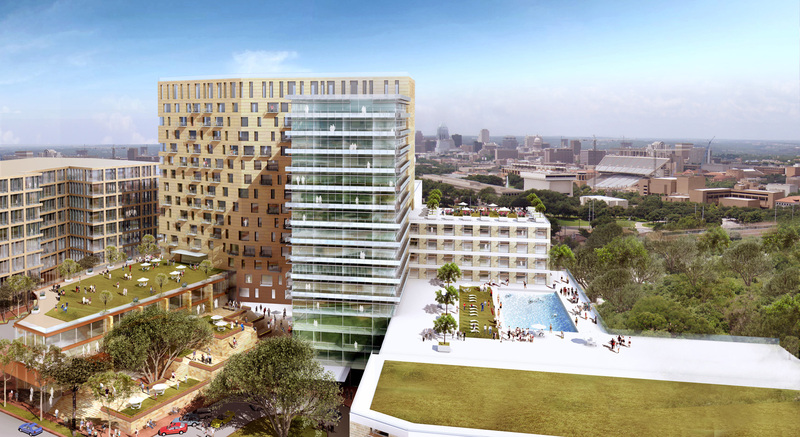 The site, an ideal location for increasing density near Austin’s urban core, became available when a small college relocated. 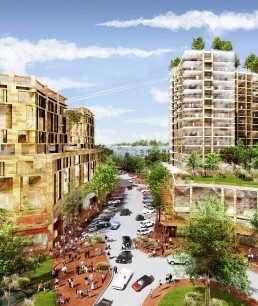 The East Avenue community will re-inhabit the site with moderate-income rental housing, condominiums, retail, medical offices, a boutique hotel, entertainment facilities, an urban park and a plaza. The neighborhood will center on a lively, pedestrian-oriented street lined with retail. 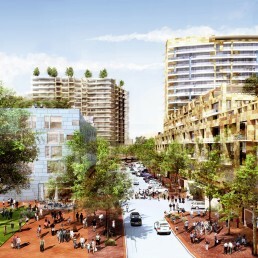 Two public open spaces, both located to preserve mature existing trees, will punctuate the street. 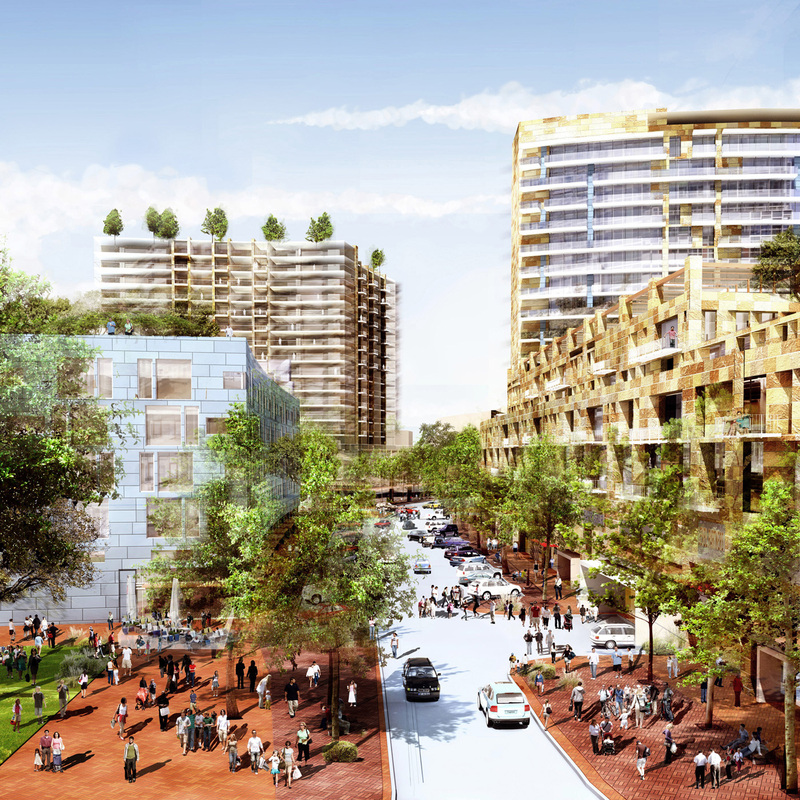 Sustainable design features will include continuous bioswales to treat storm water, more than two acres of green roofs, and an efficient central energy plant to provide steam and chilled water for the whole project. 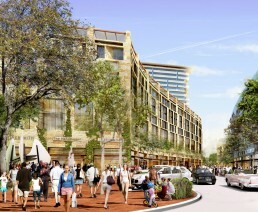 PageSoutherlandPage is designing several buildings within the development, the first of which completed construction in fall 2009.